The Vice Chancellor of the University of Port Harcourt, Professor Ndowa Lale has said about 9452 graduands of the University will receive degrees in the University’s 2016/2017 and 2017/2018 convocation slated for Friday and Saturday this week. 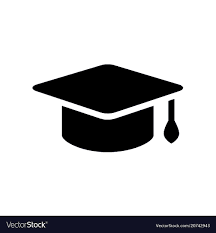 Professor Lale, who disclosed this in a press briefing in Port Harcourt on Monday, said out of the number, 106 students graduated with first class degree while 1755 students graduated with second class Upper Division. He said 2520 obtained second class Lower Division. He said that 4,681 graduads would receive Higher Degrees from school of Graduate Studies from the two sessions, saying that 381 out of the number will be conferred with the Doctor of Philosophy Degree in various specialisations. The Vice Chancellor said 2971 graduands will receive Masters Degree while 1329 will receive the postgraduate Diploma. He said: “This bountiful harvest has never been recorded before in the University of Port Harcourt. In the Doctoral degree category, the faculty of Humanities turned out 68, Social Science 60, Education 112, Engineering 20, Management Science 14, Science 95 and College of Health Sciences 12. “At the Masters Degree level, the Faculty of Humanities harvested a total of 307, Social Sciences 503, Education 604, Engineering 522, College of Health Science 178, Faculty Science 445, Management Science 404 and Agriculture 8.